Disney drops a brand new teaser trailer for its upcoming Toy Story 4 animated comedy at the Super Bowl LIII and its delightful. We also see here that Woody and Bo Peep are back with each other once again. 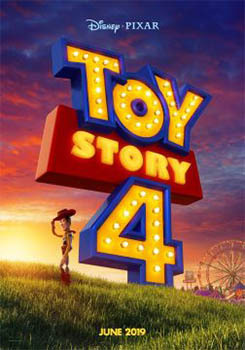 Tim Allen returns as the spaceman Buzz Lightyear and Tom Hanks as Woody the cowboy. The film, which continues the events from Toy Story 3, also features the return of voices of Joan Cusack as Jessie, and Estelle Harris as the Potato Heads. Josh Cooley directs the film from Stephany Folsom’s script. “Toy Story 4” is set for release on June 21.